Mongolian gerbils, which are better known simply as gerbils, have many things going for them. 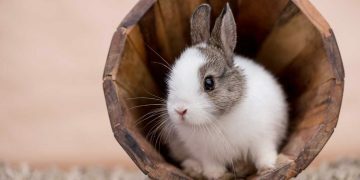 Cute, cuddly, soft and playful, these rodents are among the most popular small pets for children and adults alike. They have a few unique characteristics which make them stand out against other species of rodents, such as thumping their hind feet to show excitement, or displaying their distinct personalities when they interact with each other. Learn why gerbils are some of the most entertaining small pets, and what kind of care and attention they need to stay happy. Physical Characteristics: If you like the cuddly factor of hamsters but the energy and intelligence of rats, a pet gerbil may be right for you. 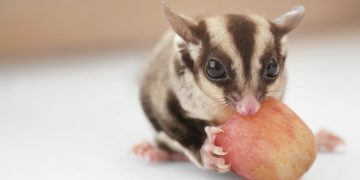 They grow to around four inches — eight inches, including the tail — and will live for two to three years on average. While most feature motley coats of varying browns and grays (known as “agouti” coloration), some gerbils have been bred for a particular coloring, and you should be able to find these through reputable breeders. Behavior: Being colony animals by nature, gerbils are much happier when they have another gerbil friend to play with. And unlike hamsters, gerbils are daytime creatures, which means you’ll get to witness their playful antics. 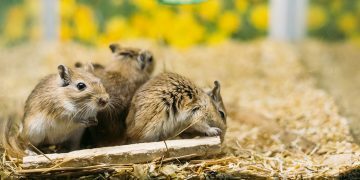 Wrestling, snuggling, even boxing with each other, gerbils are some of the most affectionate rodents you’ll find, but with close contact comes confrontation. Be prepared to separate gerbils that begin to fight, and try not to introduce a new gerbil into the pack if they’re older than 10 weeks, as this can spark aggression. Handling: Begin with the most important rule in gerbil care: never pick up your gerbil by the tail! Unlike other rodents such as mice, gerbils have exceptionally delicate tails that will break off if they’re handled roughly. This is a natural defense mechanism that many tailed animals share, but unlike some species of reptiles that can regenerate a tail, a gerbil will never be able to re-grow theirs. If you’re having trouble picking up your gerbil, try laying down a mug or cup: their curiosity will lead them into the container, and then you can simply remove it. Housing: Since gerbils like to live in pairs and they’re fairly active, you’ll want to get a big cage to house them comfortably and allow them room to exercise. Opt for a wire cage that is at least one foot by two feet, And since gerbils like to burrow, be sure to fill the bottom of the cage with a thick layer of pet-safe bedding, such as aspen shavings or wood alternatives. Last but not least, add a nest box for your gerbil to hide or sleep securely and some toys so your pets can entertain themselves. Feeding: As with other rodents, a varied diet will be best for your gerbil. Pellets, blocks and seed mixes are all good options, but rarely will one food source be sufficient for a gerbil. Feeding your pet a variety of foods will increase the chances that they get enough of every nutrient, while decreasing the risk of disease and infection. And when it comes to training and taming, sunflower seeds are the perfect reward for good behavior!